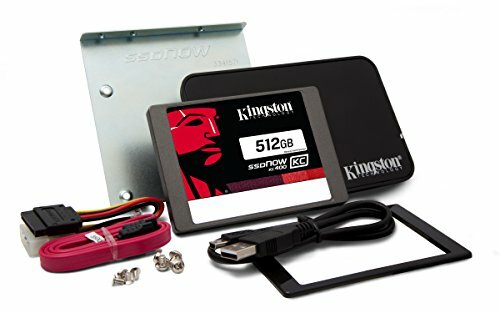 Kingston's KC400 SSD is 15 times faster than a hard drive to deliver consistent performance for both compressible and incompressible data and improve responsiveness in performance-hungry applications. It uses a Phison PS3110-S10 8-channel controller and quad-core processor to speed up daily tasks and improve productivity. KC400 provides end-to-end data path protection and Smart ECC to guard data plus Smart Refresh to protect against read errors. Data is rebuilt if there's an error, and the drive is able to recover from an unexpected power shutdown, thanks to firmware-controlled power loss management. Advances in controller technology and NAND give this drive excellent data reliability. KC400 is backed by a limited five-year warranty and legendary Kingston support, including technical teams ready to help you select the right solid-state drive for your needs, and global, industry-leading post-sales support plus Kingston's Ask an Expert program. To monitor and manage your drive, there's the Kingston SSD Manager, a free, downloadable application available on the Kingston website.